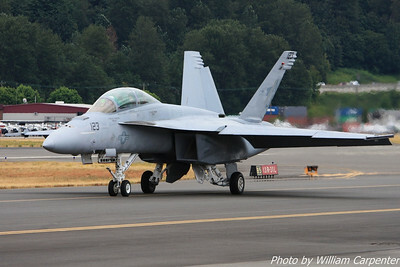 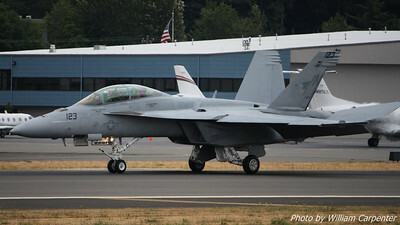 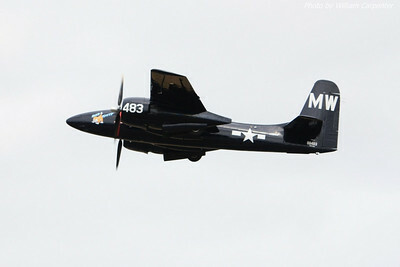 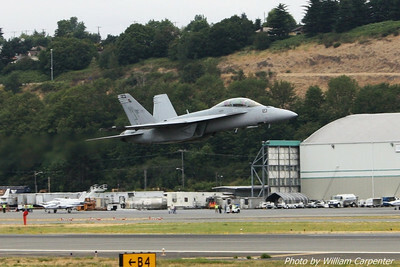 My photos of the arrivals and departures from Boeing Field during Friday's practice for Seafair's Key Bank Air Show. 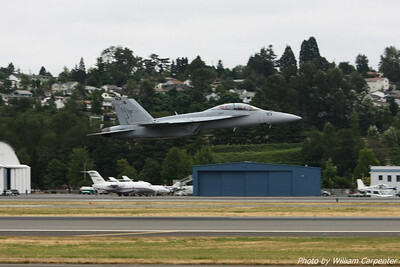 An F/A-18F Superhornet takes off to perform its demo flight over Lake Washington. 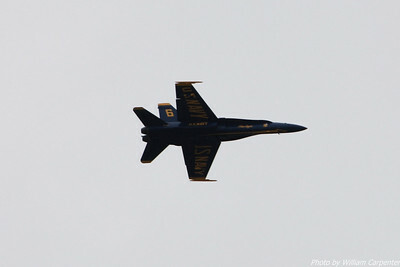 An aerobatic Learjet, complete with smoke system, takes off. 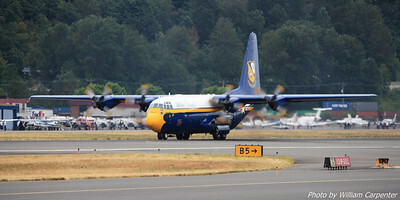 The Blue Angels C-130 support aircraft, Fat Albert, takes off. 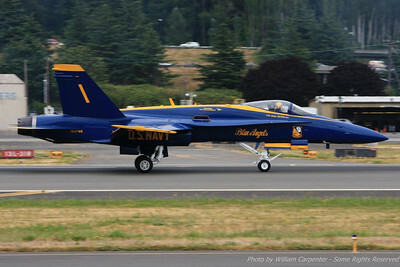 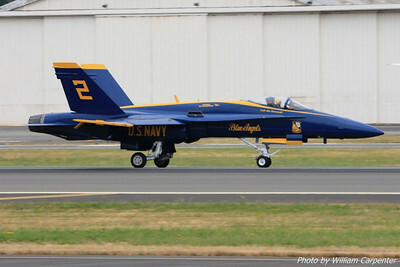 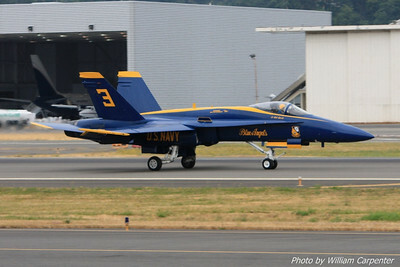 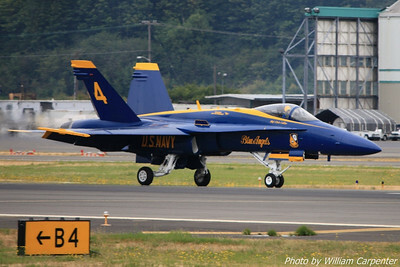 The Blue Angel diamond rolls down the runway at Boeing Field. 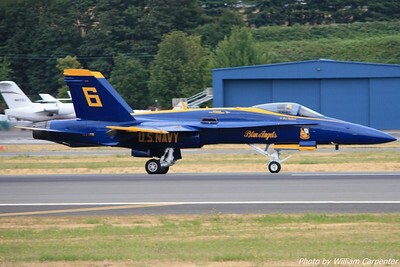 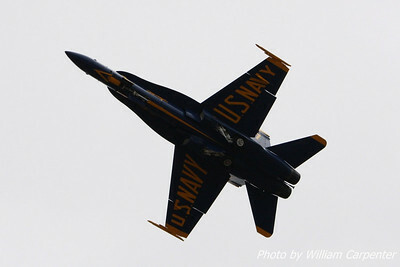 One of the Blue Angels solo pilots shortly after takeoff. 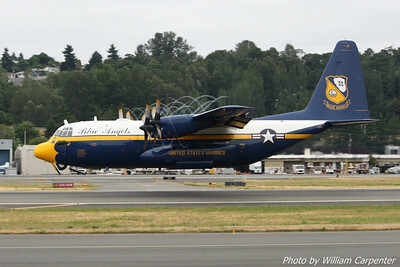 Fat Albert shortly after touchdown. 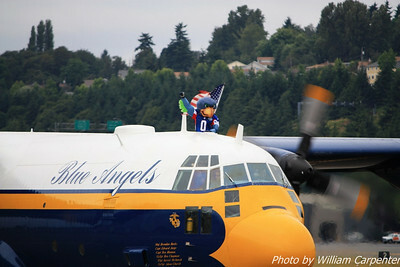 Fat Albert was carrying the Seahawks mascot during its practice flight. 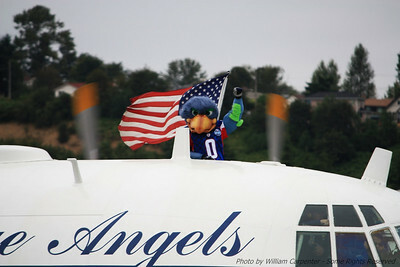 The only time in my life I've ever wished I was a sports team mascot. 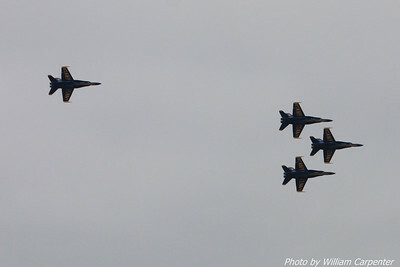 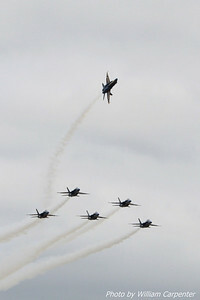 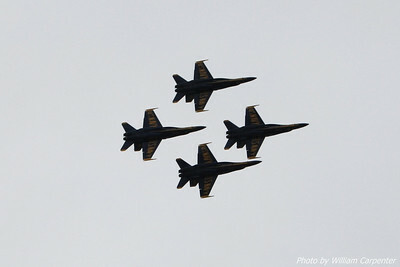 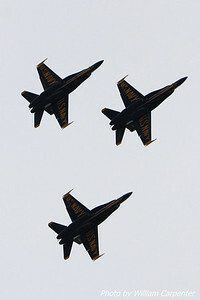 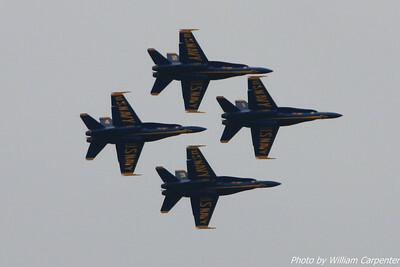 The Blue Angels perform their Delta Pitch to Land. 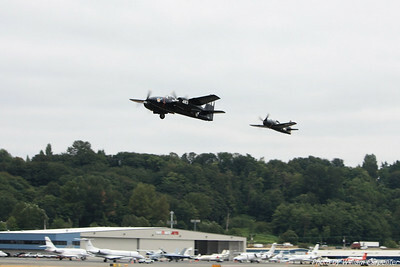 During this practice flight, the lead solo was flying with a photographer in the #7 aircraft.